Check out who was caught on our "trail camera"! Stop by the Stevens Center to take your own nature selfie! Thank you to all of our generous donors who made this exhibit possible and continue to support Hemlock Bluffs Nature Preserve. 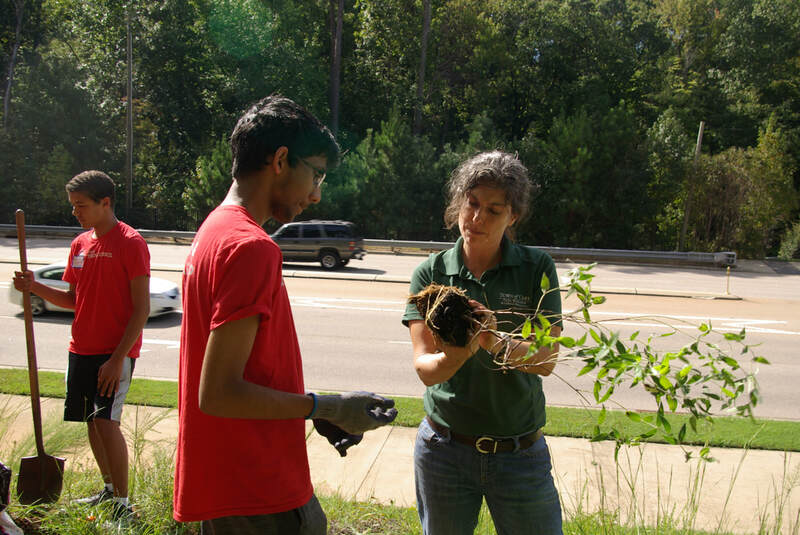 In celebration of National Public Lands Day, over 60 volunteers renewed the trails, planted a flower bed, decorated the children's nature trail and mulched the gardens by the Stevens Center. Without our fantastic volunteers, Hemlock Bluffs Nature Preserve would not be the place to relax, hike and enjoy nature that it is today! 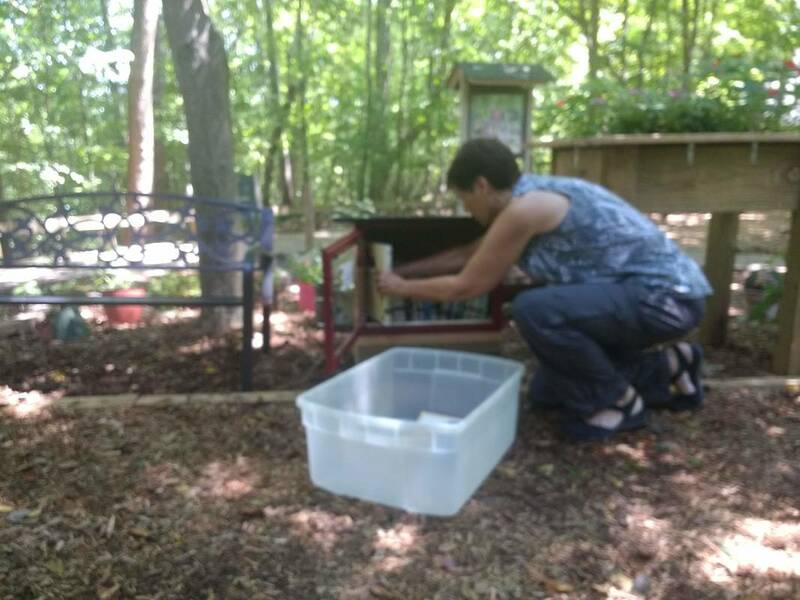 After a suggestion from a patron, one of Hemlock Bluffs' talented staff members (Kevin Pittman) created an awesome Little Loan Library for kids and adults to read, share and exchange books in the Children's Garden of the Stevens Nature Center. Of course the focus will be on nature books and titles, so take a book or leave a book the next time you visit the preserve. 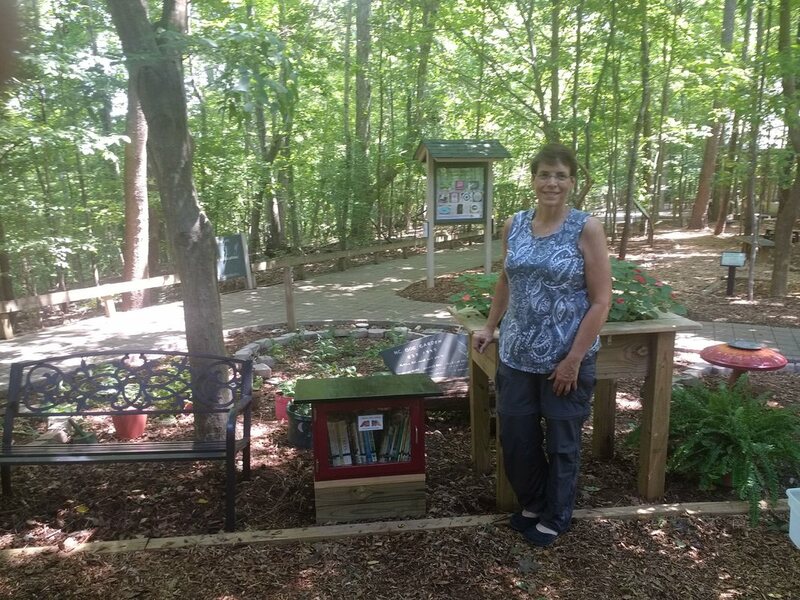 The Little Loan Library is a project of the Friends of Hemlock Bluffs. Representatives from NC State's Camcore program, the international tree conservation program within the forestry department, met with Preserve Staff to discuss their work plan to conserve the hemlocks on the property at Hemlock Bluffs Nature Preserve. Over the next year, a PhD. candidate will be responsible for implementing an ambitious work plan that has a multi-faceted approach to monitoring, analysis and propagation. Work will begin with a verification of a fairly recent Hemlock Tree Inventory. We are very excited to see work begin on this project. Obtain, field verify and update Hemlock Bluffs’ hemlock inventory database. Tag and record new hemlock seedlings, update tree status. Make inventory available to park staff to aid in ongoing hemlock population management. Cary Town Council Members, Parks and Recreation officials, nature center staff, Friends of Hemlock Bluffs, supporters and long time program participants gathered at the Stevens Nature Center to mark the milestone 25th anniversary! Several speakers came forward with recollections, anecdotes and personal histories. Shared stories included accolades for past achievements and excitement for the future of the Stevens Nature Center. How are the Hemlock Trees? Hemlock Woolly Adelgid Checks are on-going. The Eastern Hemlock trees at Hemlock Bluffs Nature Preserve were recently inspected by a group of experts from multiple agencies including; the NC State Forest Service, the NC Department of Agriculture and NC State University. The Town of Cary has made a commitment to continue to protect Hemlock Bluffs Nature Preserve by working with a cooperative group of external and internal partners, including NC State's Camcore Program. ​New growth on the Eastern Hemlock Trees is a good sign. Look for new foliage on the tips of the branches in the spring. This is a good indicator that the hemlocks are continuing to thrive at Hemlock Bluffs. The Town of Cary council members agreed to allocate the funds for the treatment and research of the Hemlock Woolly Adelgid by NC State's prestigious Camcore program at Hemlock Bluffs Nature Preserve in the Fiscal Year 2018 budget. 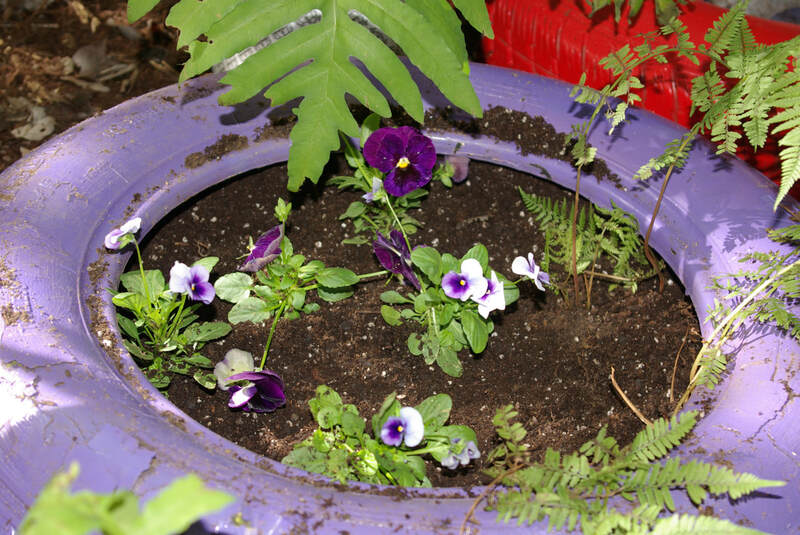 This was probably THE MOST vital budget request ever brought forward from the Hemlock Bluffs facility in the history of the Town's involvement with the Preserve. With the approval of this item, the Town can work with this partner to protect the Eastern Hemlock Trees at Hemlock Bluffs and work to preserve the genetic stock of these unique trees. 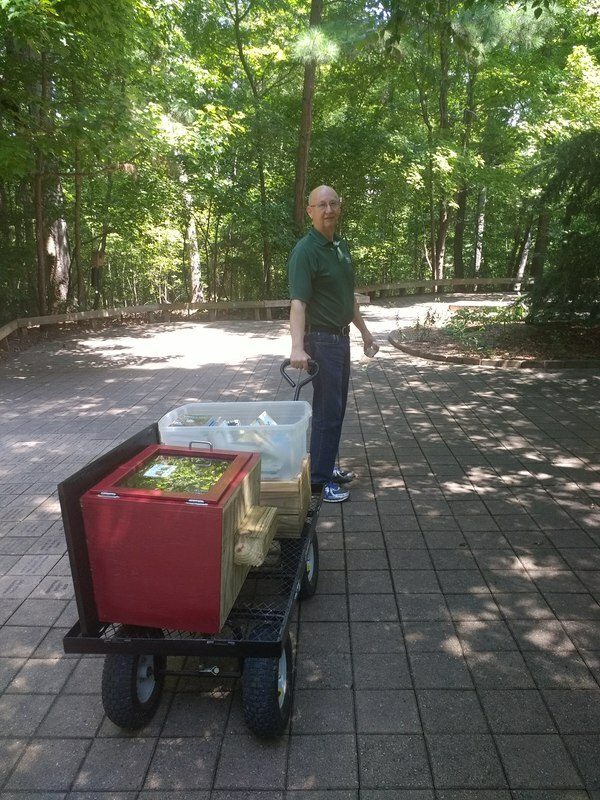 The HWA request brings together the best resources in the State of North Carolina currently working to control the insect pest Hemlock Woolly Adelgids, which are attacking the rare Hemlock trees at Hemlock Bluffs Nature Preserve. Not only does the project recommend a new, innovative methodology for managing the care, treatment and on-going effort to protect the Hemlock trees at Hemlock Bluffs, the project involves data collection, on-going research and the development of an off-site nursery to create a gene pool of our Town's specific hemlocks in perpetuity. 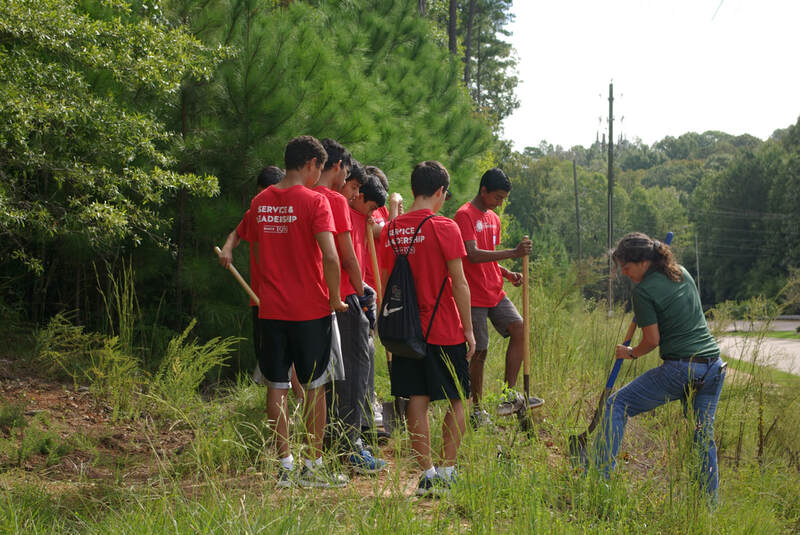 Town of Cary has the opportunity to continue it's commitment of protecting the Hemlock trees at Hemlock Bluffs by funding this research and protection project with NC State's Camcore Program. It is an innovative partnership which will continue the on-going protection and pest control effort in a cost effective manner. You can email Town Council to thank them for considering this request and including it in the FY 2018 Town budget. It shows overall support and understanding for how valuable Hemlock Bluffs and the heritage trees are to Town Council, Town Management and all Town Citizens. Citizen support and input was essential in this decision-making process. Thank you if you were one of the many supporters who reached out to Town Council or Town Management to express your interest in seeing this funding happen. The Director of NC State Parks and the Supervisor from Medoc Mountain State Park visited Hemlock Bluffs Nature Preserve to look at the Children's Nature Trail. 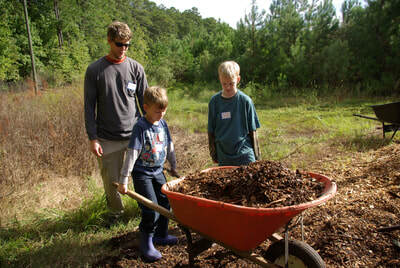 The NC Division of Parks and Recreation is thinking about installing trails of a similar nature in some of the State Parks and they are using Hemlock Bluffs' trail as one of their examples. 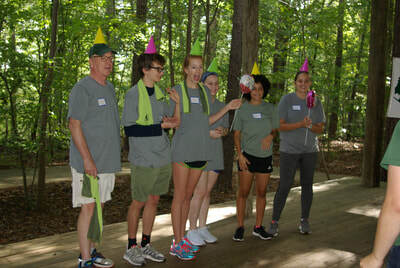 A sixth grade group from a Charter School in Rochester, New York visited Hemlock Bluffs and other Town of Cary facilities. 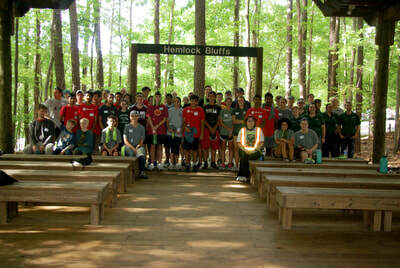 They specifically looked at the Children's Nature Trail and walked the trails at Hemlock Bluffs as well. 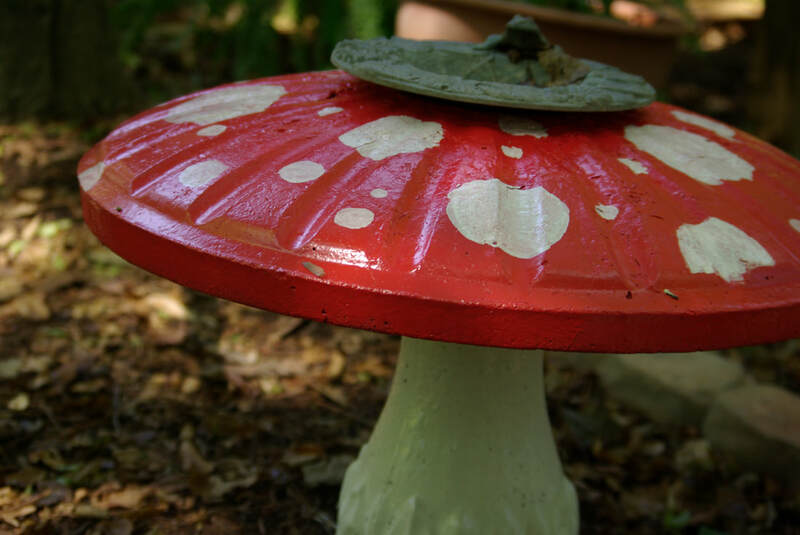 Hemlock Bluffs is a shining example of a working nature preserve, hands-on environmental education and wildlife habitat protection in an urban area. It's no surprise others want to replicate it's success. The NC Forest Service took the lead in managing a controlled burn near West Hemlock Bluffs at Hemlock Bluffs to reduce the fuel load, manage wildlife habitat and improve overall forest health. Assisting with the small burn were staff from NC State Parks, the Cary Fire Department and Hemlock Bluffs Nature Preserve. Burning patches of the upland oak/hickory forest is one of the goals of the Hemlock Bluffs' natural resource management plan. The Hemlock Bluffs' management team, along with other resource professionals, have created natural resource plans to ensure active protection of the important natural resources on-site to protect, preserve and manage Hemlock Bluffs' for future generations . ​Routine prescribed burns are scheduled for annual rotations. At the October 6 National Recreation and Park Association (NRPA) annual conference in St. Louis, Missouri, the Cary Parks, Recreation and Cultural Resources Department received the National Gold Medal Grand Plaque Award for Excellence in Park and Recreation Management for a municipality sized 150,001-400,000. 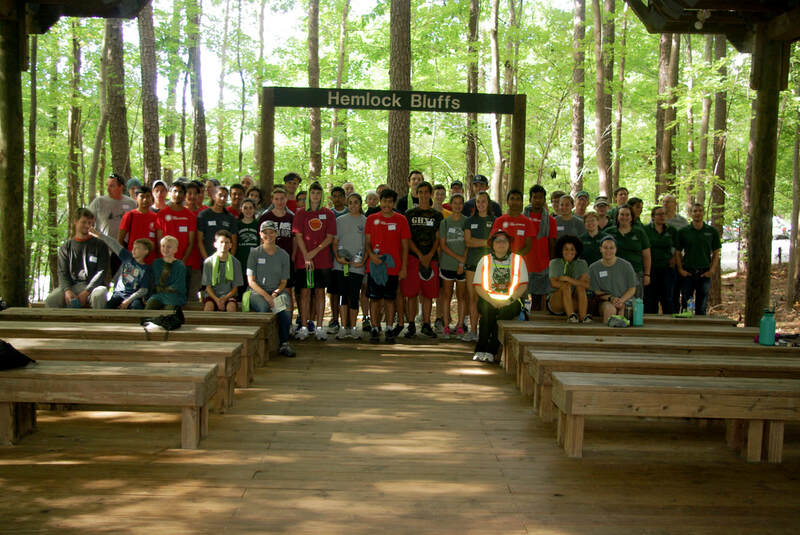 Hemlock Bluffs Nature Preserve is one of the unique facilities associated with the Cary Parks, Recreation and Cultural Resources Department's award-winning amenities. 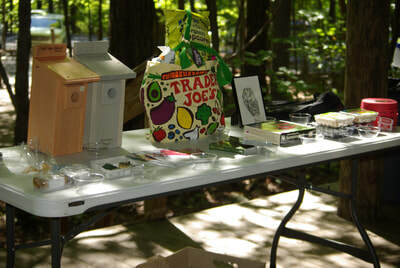 Nature, science and environmental education programs for all levels of achievement are offered at the Stevens Nature Center located on the property of Hemlock Bluffs. Engaging preschoolers to senior citizens, as well as the entire family unit staff-led tours provide hands-on learning opportunities. Hiking trails, wildflower gardens, educational exhibits and a captivating natural play space are also available at the nature preserve. 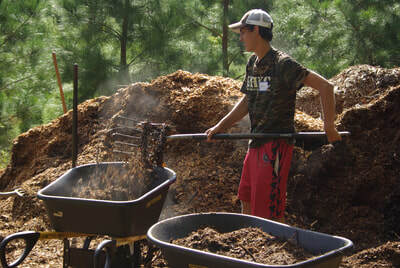 Experience the parks, open space, outdoor recreation, greenways, nature programs and cultural arts programs in Cary by searching “Recreation and Enjoyment” at www.townofcary.org or calling (919) 469-4061. The Town of Cary signed an MOU with the WakeNature Preserves Partnership that brings together nature resource professionals and representatives of several other local government organizations, NC State University and non-profit organizations to help identify, manage and steward the most ecologically valuable natural resources in our area. 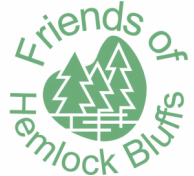 Hemlock Bluffs Nature Preserve has focused on natural resource management and providing environmental education programs for all ages since 1993.